The Tour Edge Exotics CB2 fairway wood features a superior design that chemically bonds a lightweight, high-tech, titanium-cupped face with a heavier hyper-steel body. The titanium cup face is computer-milled around the edge of the cup with a high precision rim, while the body is precision cast, and the parts are chemically treated, pressed together, and vacuum heat-cured for permanent bonding without heavy welding. This design allows for a 30% higher MOI than the previous Exotics fairway woods for ultimate distance, control, and overall performance. An amazing 20 yards longer than its predecessor, the Exotics fairway wood. Titanium cup is 30% lighter than its predecessor allowing more weight to be transferred to the rear of the head for optimal trajectory. 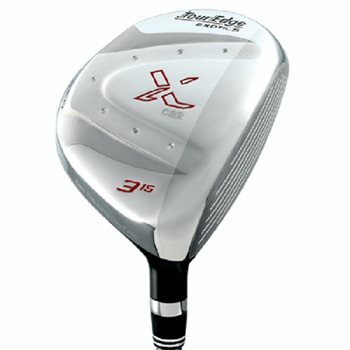 Tour Edge guarantees that the CB2 is longer than your current fairway wood.